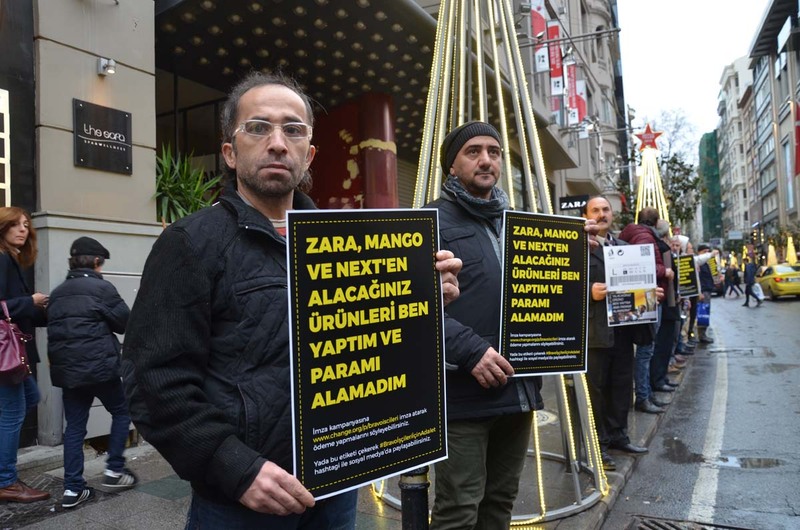 In order to make their voices heard, the workers of Bravo had previously visited Zara shops, placing special labels in the products on sale asking consumers to support them in getting their well-deserved payment back. 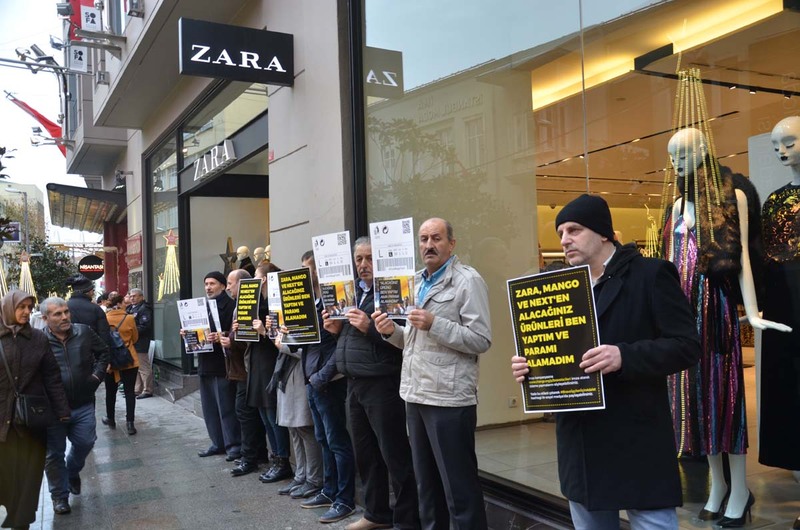 The consumers had indeed heard this voice; and 300,000 individuals had signed the workers’ petition, demanding Zara to cover their back pay. The workers’ campaign had thus succeeded in getting their voices heard by millions. 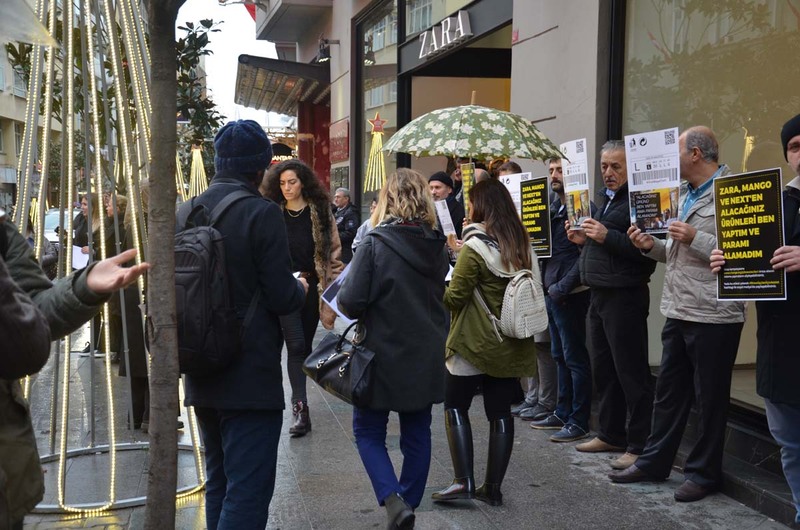 However, Zara still refused to pay what it owed to the workers. 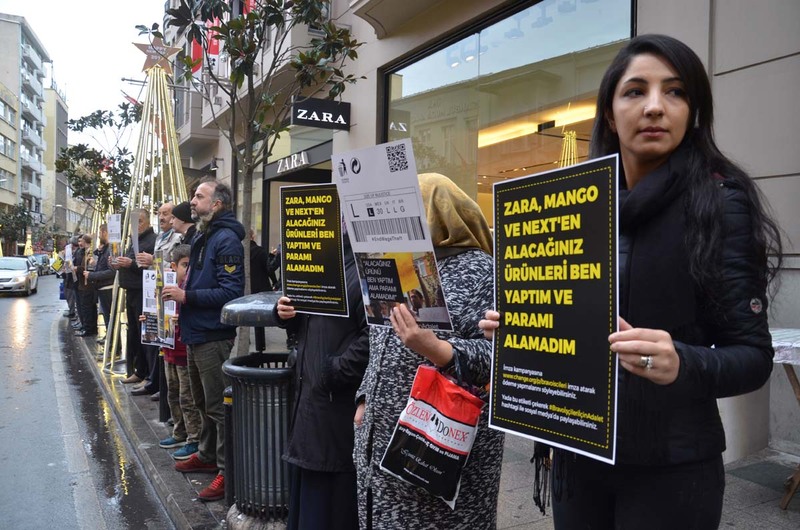 This time, workers printed these labels in the form of large placards, and stood in front of Zara shops holding them, thus communicating their demands to the consumers visiting Zara, and once again demanding the company to pay its debt. We used to work at the Bravo factory. We had been working for this company, for periods ranging from one year to six and a half years. 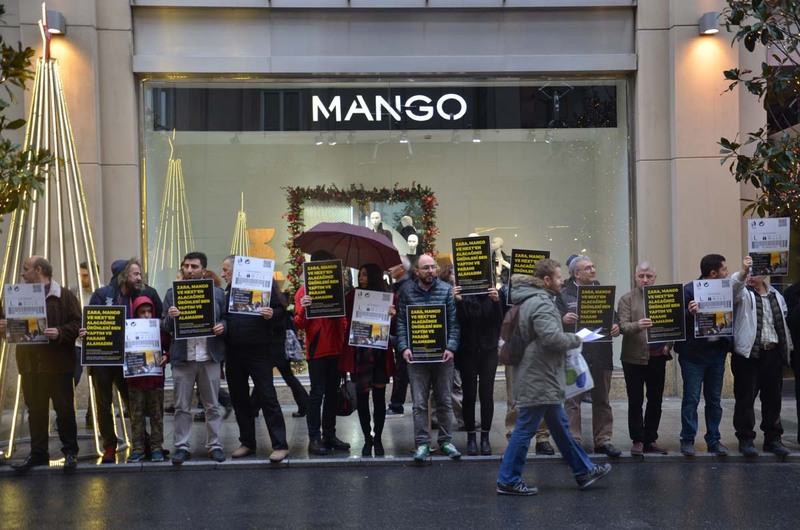 We were producing goods for Zara, Next and Mango, which supervised our work every single month. 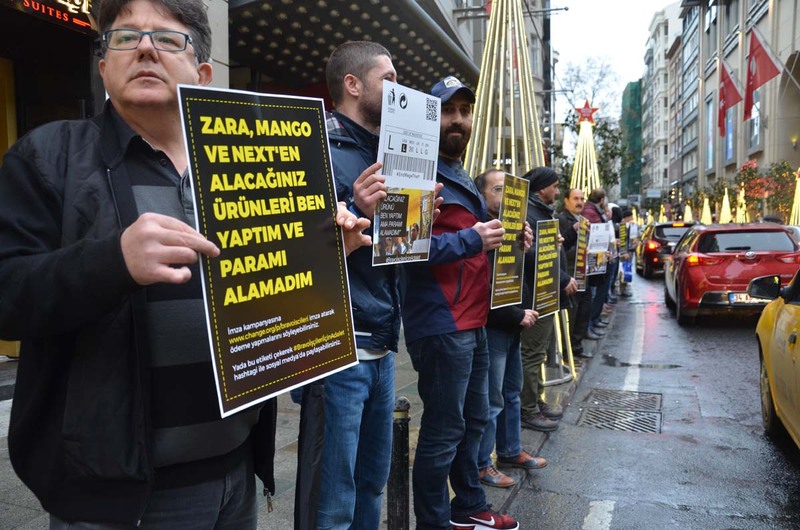 From our salaries to our working conditions, everything was determined by Zara, Next and Mango, which were our main contractors. This year, the company started to delay our salary payments; and in the last three months, we did not receive any payment at all. Whenever we asked for an explanation, they said “The company is passing through a rough patch, be patient; everything will be all right.” Then one morning, upon arriving at the factory, we saw that the factory was completely empty, with its doors wide open. 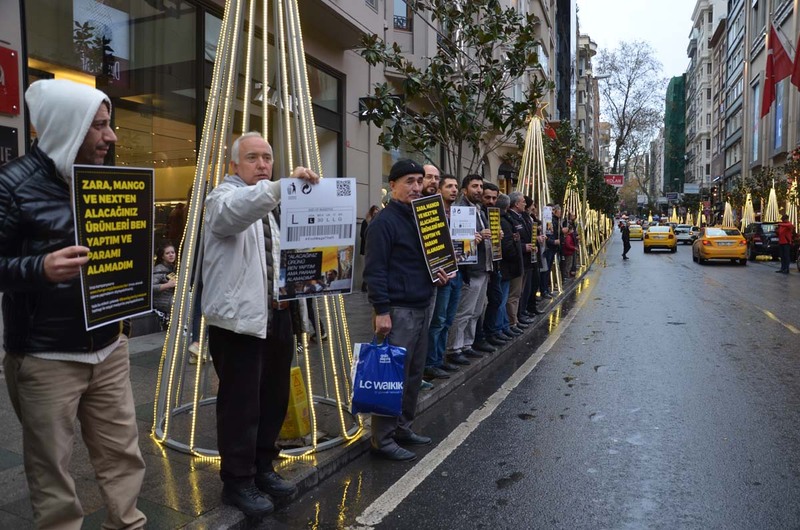 We had been abandoned, without having been paid our salaries for the last three months, nor our severance pays. 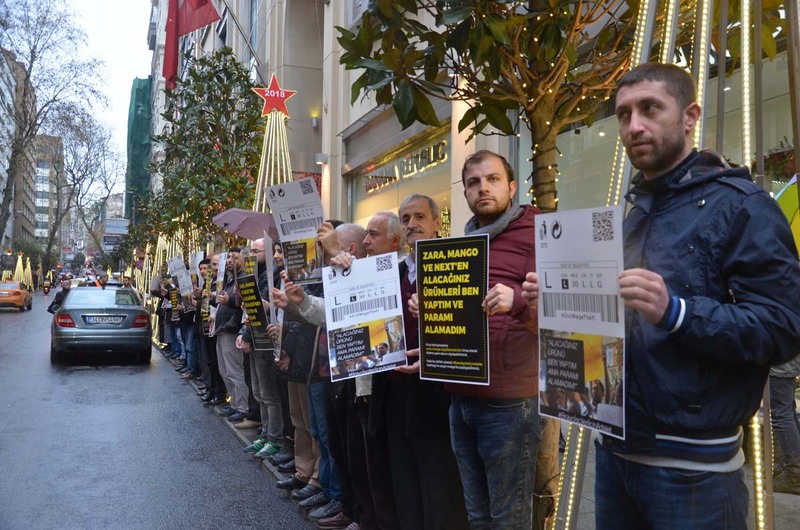 We communicated this situation to our main contractors, and asked our back pay from them. 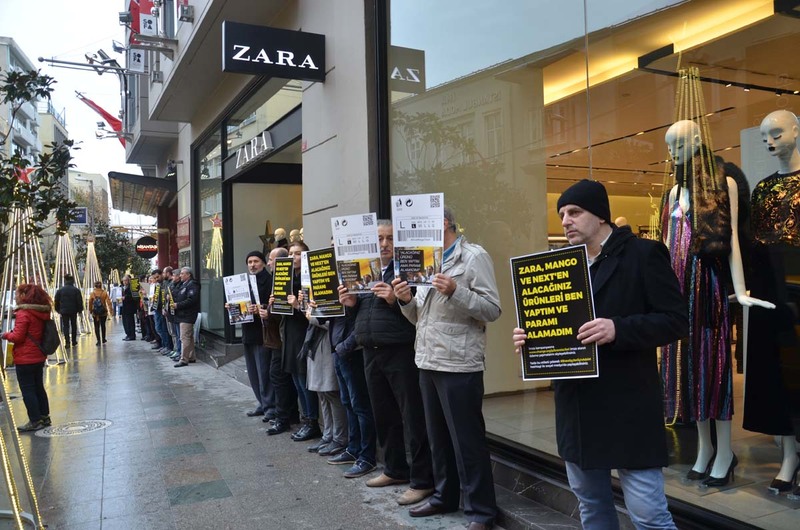 Among these, Zara, to which 75% of our production was destined, accepts in the collective bargaining agreement that it has signed with the international trade union Industriall, that it will be responsible directly for any debt to the workers. 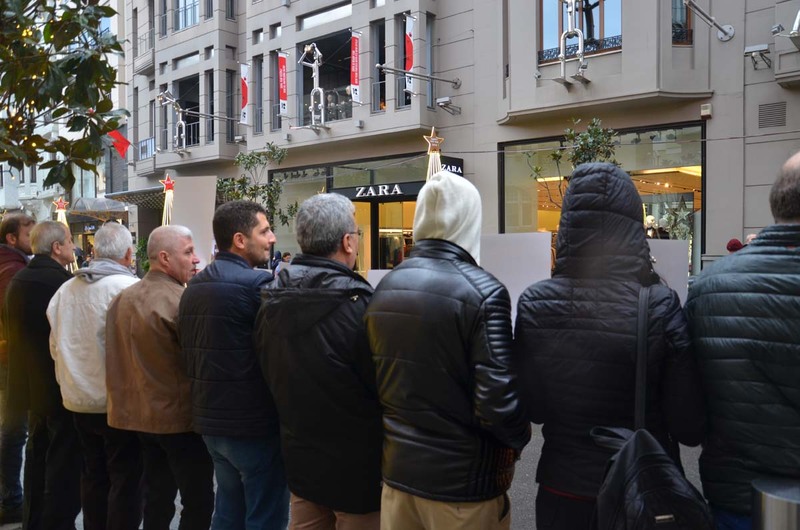 Nevertheless; Zara refuses to cover our back pay. 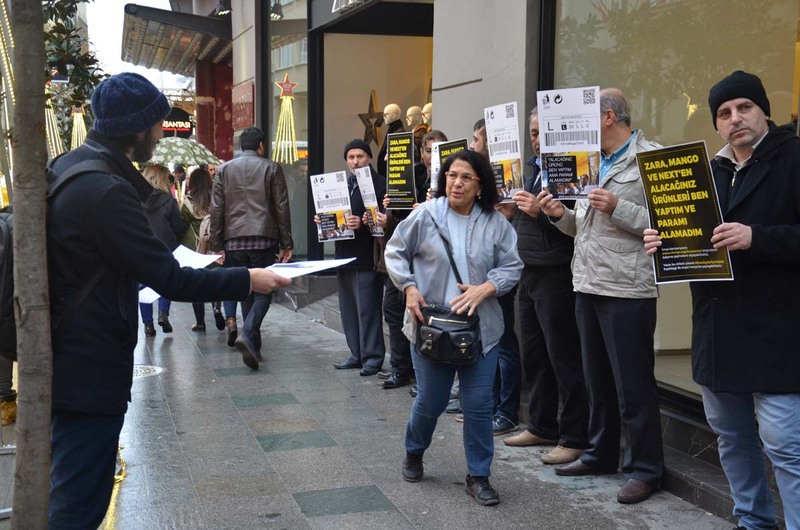 One and a half years ago, thanks to the lawyers of the trade union Disk Tekstil, we brought a foreclosure suit against Bravo, and won the case. However, we did not receive anything, since the company’s accounts do not show any money. 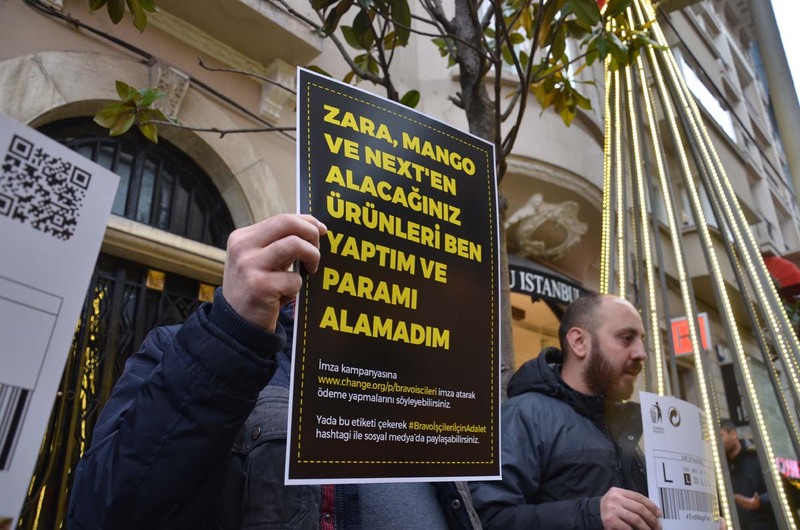 For the last one and a half years, Clean Clothes Campaign Turkey has been negotiating with these brands at an international level, demanding our back pay. 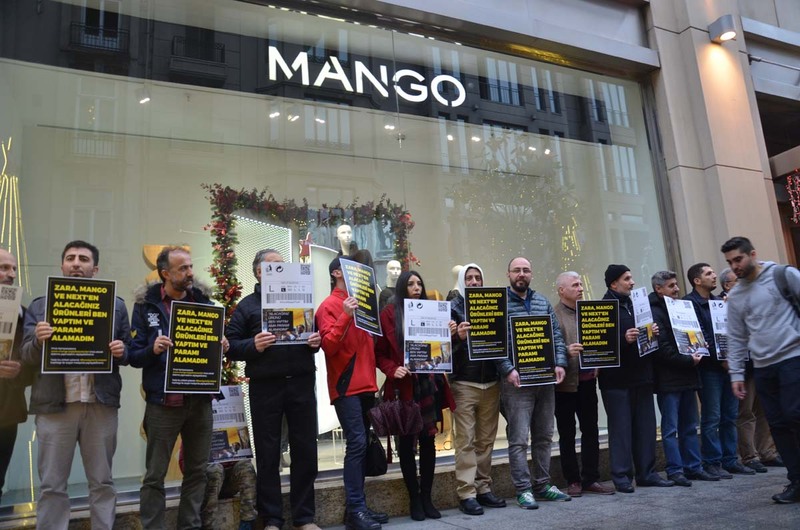 At the moment, the brands accept their responsibility but say that they will cover only a part of the money owed to us. We were all workers and had worked under the same labor law. As such, we have been demanding payments for every one of us. 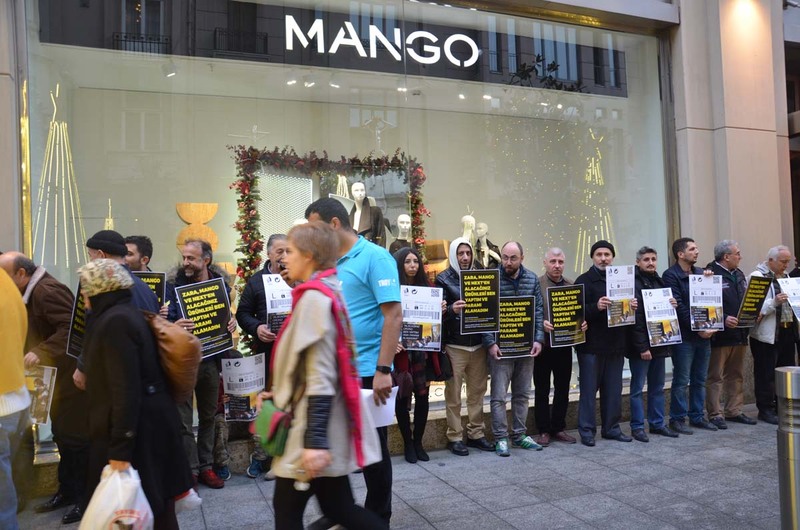 In September, as 140 workers, we initiated a petition with the support of our trade union and Clean Clothes Campaign Turkey. 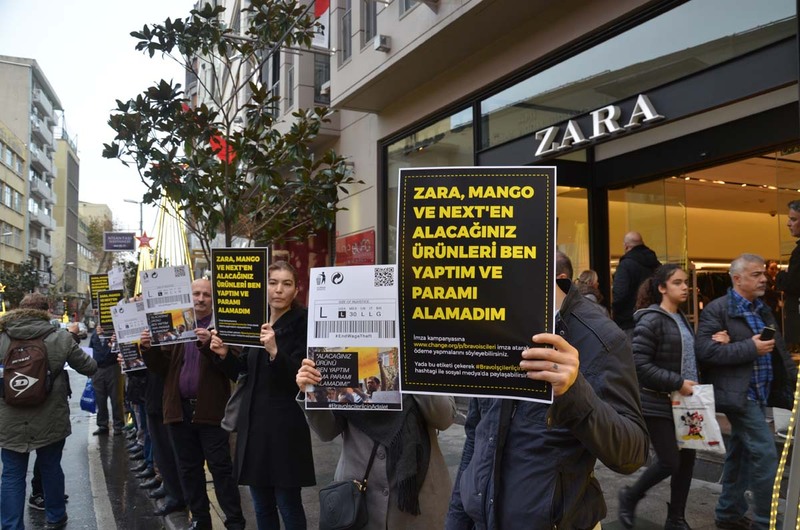 Later, we placed in Zara products special labels stating that we had not received our salary for these products, asking for the support of consumers like you. Our campaign has reached millions, but Zara has yet to be convinced. 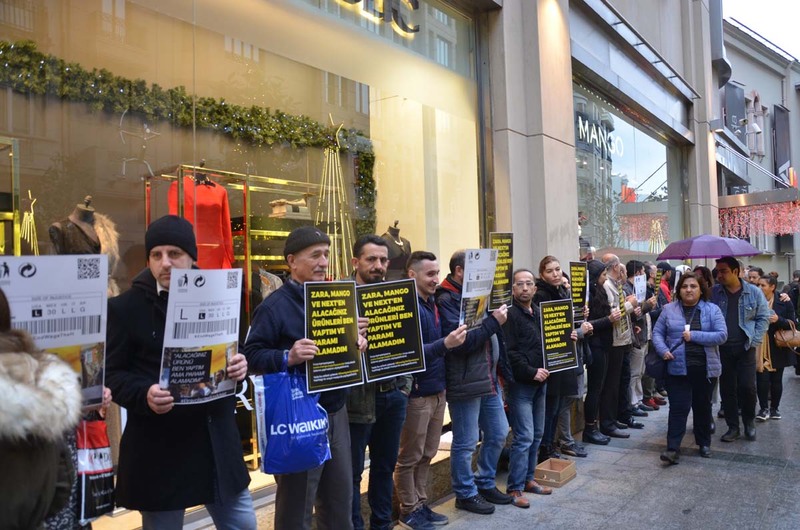 https://www.change.org/p/justiceforbravoworkers to demand our back pay, and / or show us your support on social media via the hashtags #JusticeForBravoWorkers #BravoİşçileriİçinAdalet #ZaraHaniPara #ZaraDüşürdünDara. Many thanks in advance for your concern. 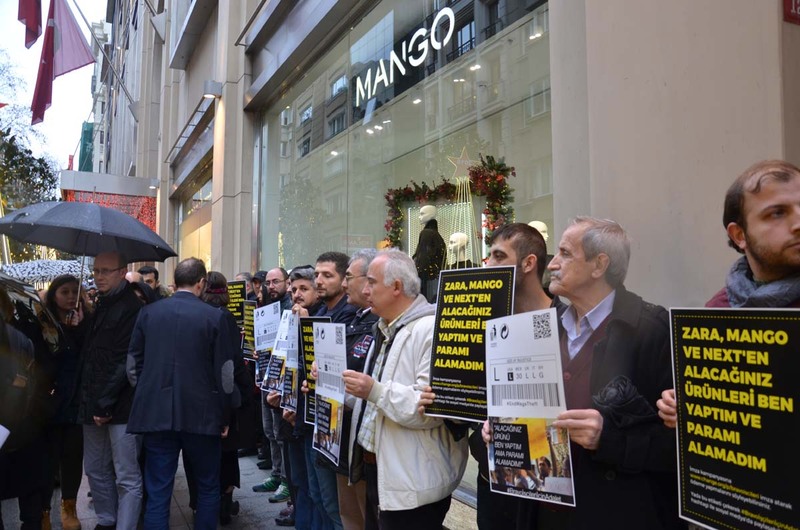 At Clean Clothes Campaign Turkey, we will continue to follow up on and support this campaign until the Bravo workers are paid what they are owed. 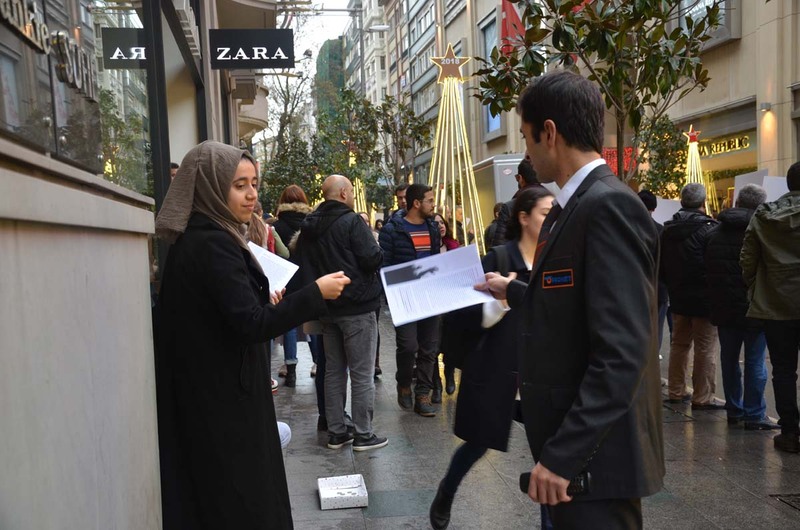 This week (December 14-20), Clean Clothes Campaign activists have taken and will be taking to the streets at different spots across the world, together with consumers, demanding the brands Zara, Next and Mango to take immediate action and meet the demands of the workers.